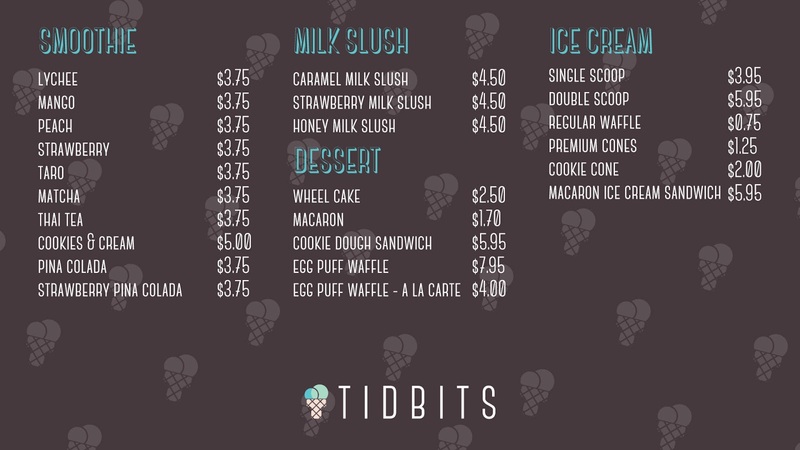 Dec. 1 | Free Dessert For Everyone @ Tidbits Grand Opening in Fountain Valley - EAT WITH HOP! Cookie cones? Macaron ice cream sandwiches? Taiwanese wheel cakes too? YUMM! 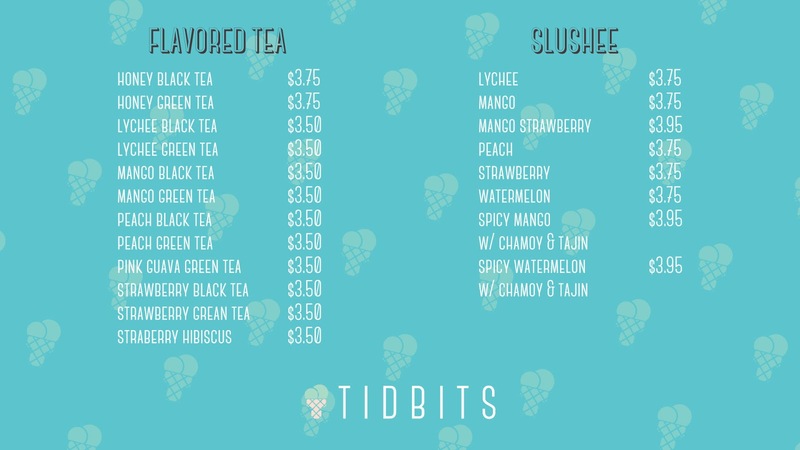 Check out the new dessert shop in Fountain Valley called Tidbits! 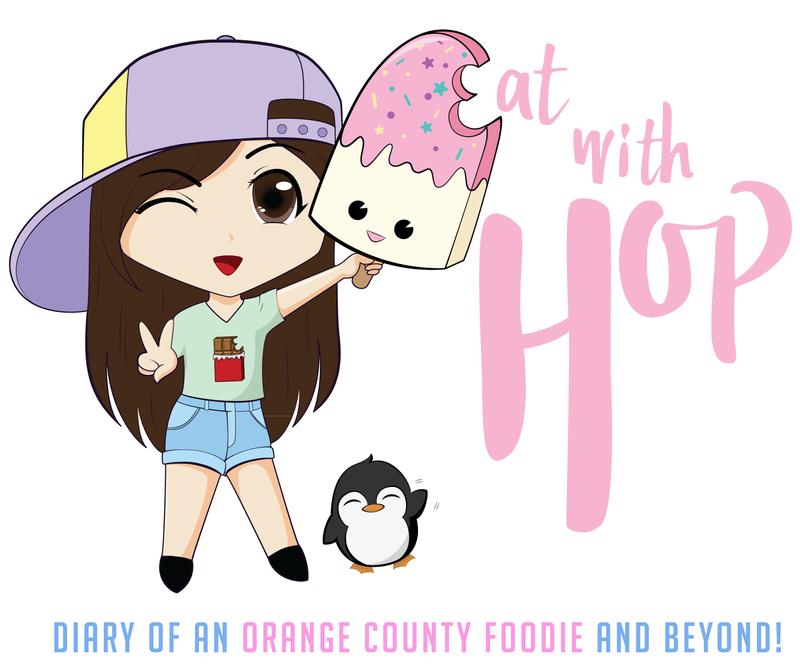 Each guest who visits the store from 12pm - 4pm will receive one free menu item of their choice! 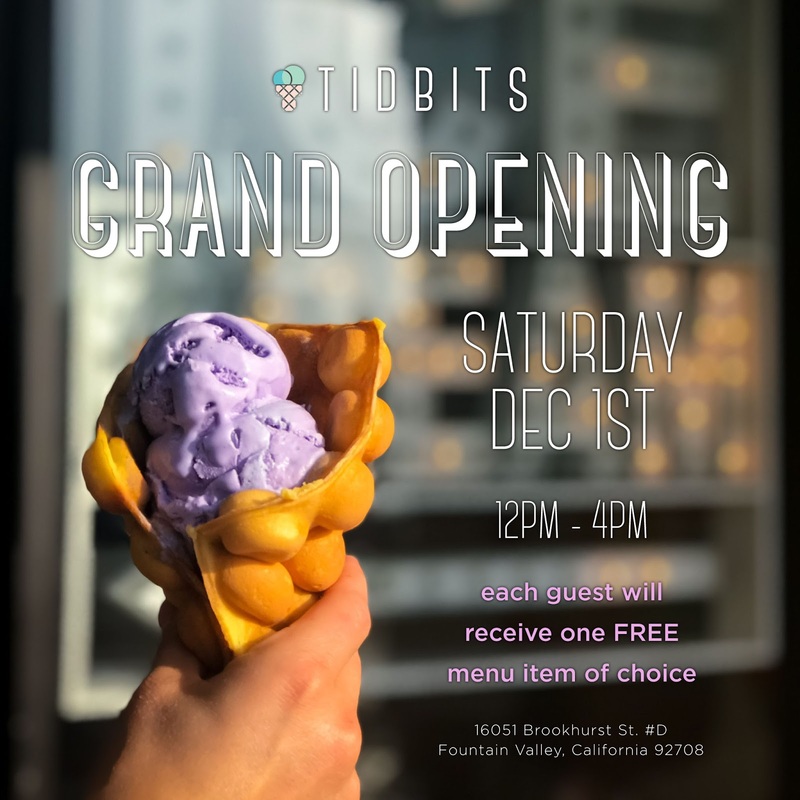 Saturday, December 1st from 12 p.m. – 4 p.m.
To celebrate the grand opening of Tidbits! 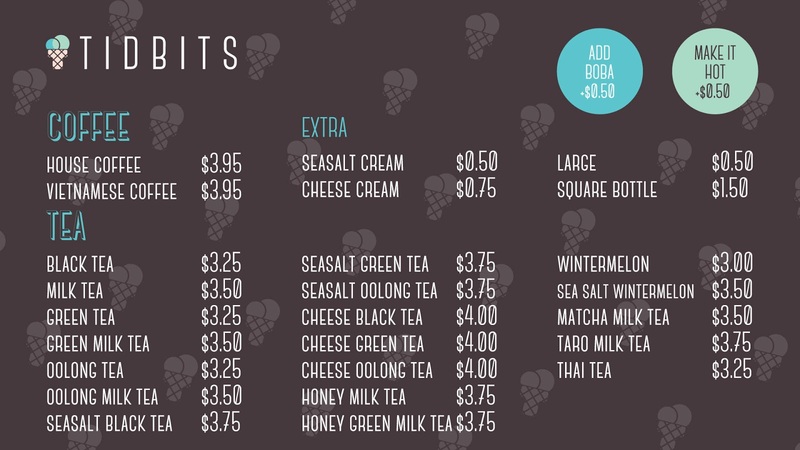 This dessert shop is formerly known as Birthdae Cake (which was formerly known as Milk Bar) which has new ownership. They still have similar menu items as Birthdae Cake before but now has the addition of Taiwanese wheel cakes (weekend only). They serve ice cream (from Fosselman's), macaron ice cream sandwiches, and cookie cones. 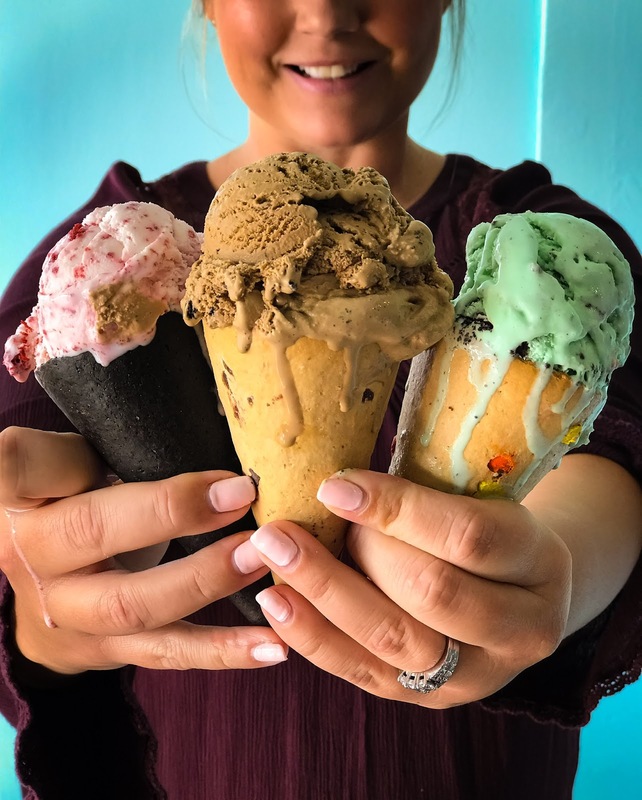 Choose cookie cones instead of waffle cones! They have flavors including chocolate chip, M&M and pretzel cones. 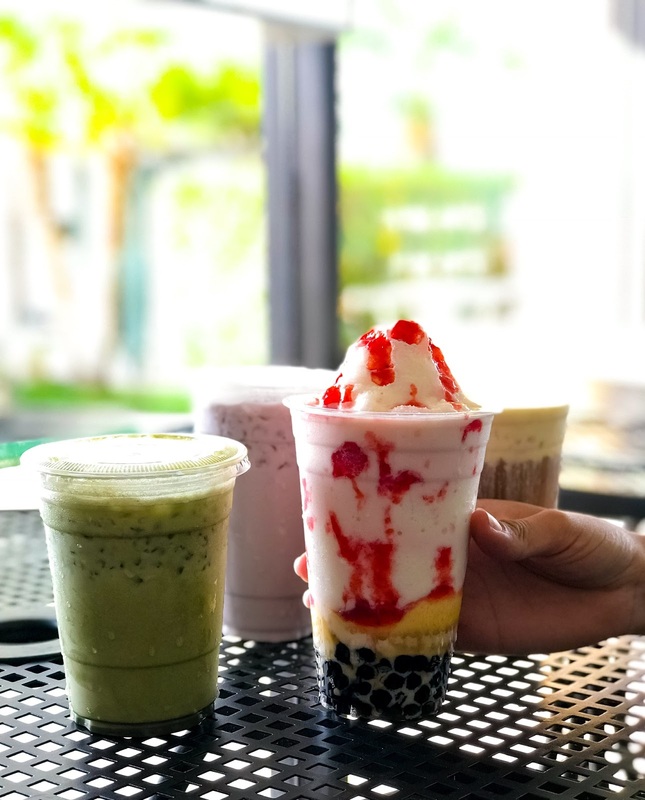 The ice cream is purcahsed from Fosselman's Ice Cream Parlour, which is a popular LA company that sells their ice cream wholesale to many other dessert shops too. Anyway, their ice cream is pretty good but their cookie cones were although unique and different, hard and stale. My favorite thing was the Taiwanese wheel cake which was filled with custard cream. They plan to experiment more with these in the future so there will hopefully be more flavors. For now, they just have original Taiwanese wheel cake flavor which is a regular eggy cream custard.